This week’s Photo Focus is from my day spent as a “volunteer bear keeper” with Free the Bears Fund, just outside of Phnom Penh. 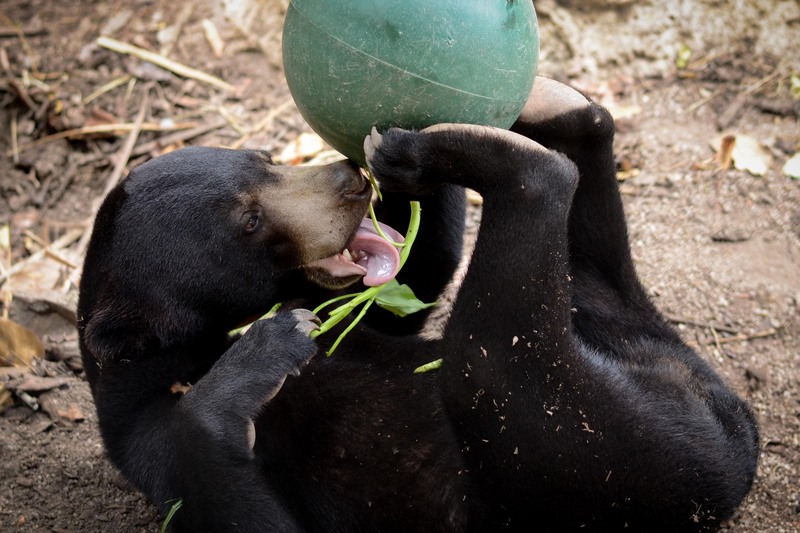 This sun bear cub is thoroughly enjoying his mid-morning snack served in a hard plastic ball meant to challenge him mentally and physically. Stay tuned for a more detailed post and information on how you can volunteer for a week or more with Free The Bears.